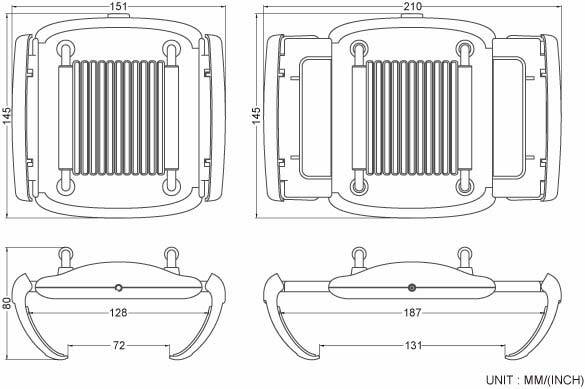 Product expended size (Compatible with maximum size at 18.7cm routers). • World’s first specialized cooler for Routers and IP sharing devices with unique design. (Patent No: D 144402 Taiwan). 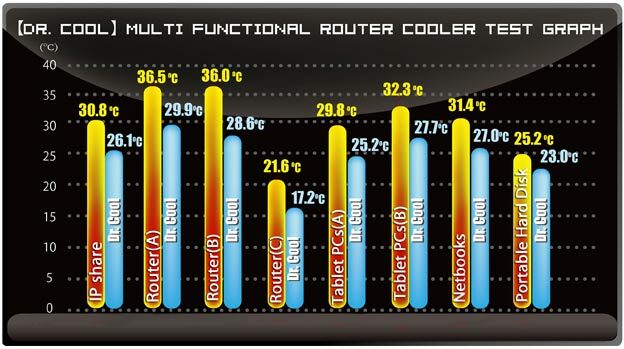 • Cooled by one 8cm long-life silent fan that provides suitable airflow to avoid router overheat and thus network instability. • It is fitted with a multi-clip design to attach it to the router, making it very easy for any user to install. Netbooks and other computer accessories besides routers or IP sharing devices. according to their personal needs or preferences.